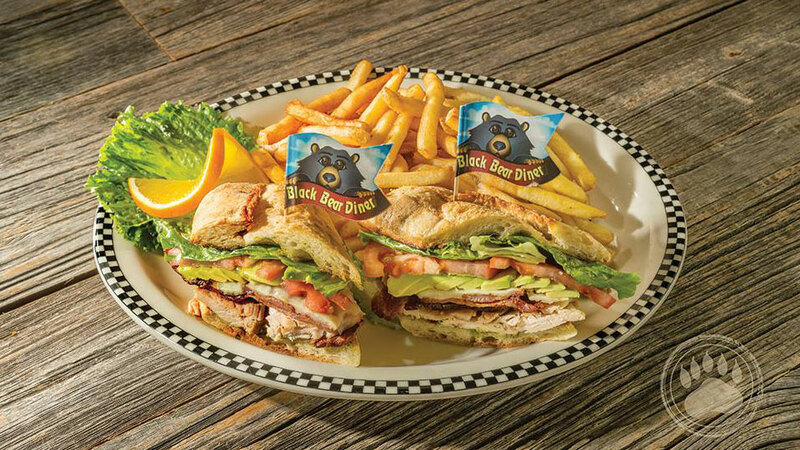 Black Bear Diner, founded in 1995, is a fast-growing, community-oriented, family dining concept that offers a one-of-a-kind experience in a fun, bear-themed atmosphere. Black Bear Diner was born from a desire to bring home-style comfort food classics and personal service back to the dining experience. You’ll find Bend’s Black Bear Diner on North 3rd Street and its friendly vibe is sure to please. Get comfortable at one of the tables or booths, or sit at the breakfast bar and watch the buzz in the kitchen. Black Bear Diner is open seven days a week for breakfast, lunch, and dinner, and portions will satisfy the hungriest bears. Breakfast is served all day long and features omelets and other egg dishes, pancakes, French toast, waffles, and bottomless cups of coffee. For lunch and dinner, the menu includes diner favorites like chicken fried steak and meatloaf, as well as burgers, salads, hot and cold sandwiches, and soups. A “cubs” menu for kids offers many of the same entrees in child-sized portions. For dessert, peruse the pie and pastry case or order up a homemade milkshake or ice cream sundae.